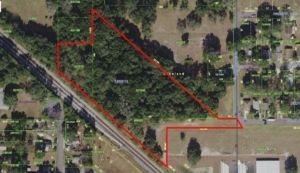 Property: This is a 5 acre parcel. Site is level and under a PUD with permitted uses of Office, Warehousing & motor freight transportation uses. Area businesses include; Indian Motorcycles, Coca-Cola, Mission Foods, McKesson Corp, Pepperidge Farms; and Cardinal Health. 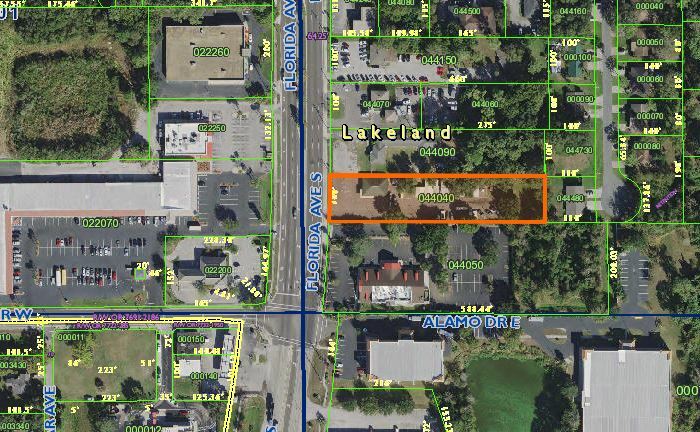 Development in this area may qualify for TIF financing through the city of Lakeland. Additionally, the property is within the Opportunity Zone, where new investments, under certain conditions, may be eligible for preferential tax treatment. Location: Site is located just off four lane Kathleen Road, behind the newly built, StoreRight self storage. This is minutes to I-4 to the north and downtown CBD to the south. Kathleen Road is one of the entrances to downtown Lakeland from I-4, and a highly traveled commercial corridor. Property is located in the Midtown CRA district. an exceptional quality of life. A firm commitment to downtown development, redevelopment, historic preservation, cultural amenities, and an exceptional business-friendly environment has helped Lakeland to thrive for 130 years. Property: This property has three available suites. Two of the suites feature two offices, plus reception or open work space, and shared restrooms. Third space has a large open entry area with a single private office to the rear, and a private bathroom. All pricing includes utilities. See floor plans for more details. 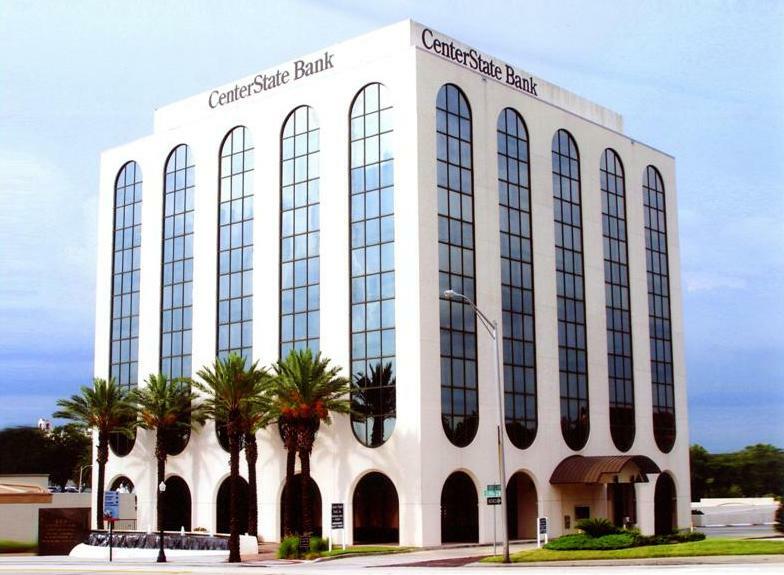 Location: Site is located in south Lakeland, at the end of Florida National Drive, which is directly behind Wells Fargo Bank at the intersection of S. Florida Avenue, and W. Highland Drive. The property has 15 parking spaces on site. Location is serene and quiet, located on a cul-de-sac. 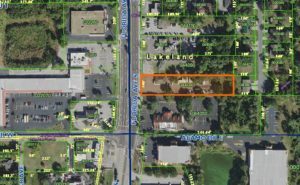 Property: 10.77 acre site, with NAC (Neighborhood Activity Center) land use. Permitted uses include, general and medical office, convenience stores, banks, gas stations, restaurants and retail. Level and with electric and sewer to perimeter of site. Water and sewer both along US 98, with additional water along wilder road. Sewer is existing force main that will require a lift station to be installed. Entire site is high and dry (flood zone X). Excellent development piece! Location: The site is located just five miles north of I-4 in a heavily populated residential area, with 46,000 people within a 10-minute drive time of the site. 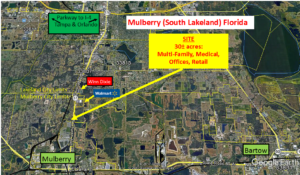 Site is located at the hard corner of Wilder/Duff Road and US 98 North. US 98 has 40,000 VPD on this main retail corridor. 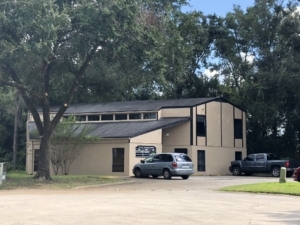 Property: Subject property is a freestanding, 6,300 sf, building, currently fully utilized for retail sales. It is two stories and the first level features, glass storefront, display windows, high ceilings and open plan. Second floor has original wood floors ready to be refinished, and is all open plan for interior build out. Some columns on both floors, but easy to modify the interior for any use. Daytime city parking available in lot C, just behind the property. M-F, 8am-5pm there is two hour, free street parking surrounding the property. All other times street parking is free and un-monitored. Great location for downstairs retail and upstairs apartments. City is reviewing potential incentives for second floor redevelopment across downtown. 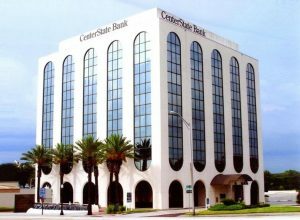 Property qualifies for TIF financing through city of Lakeland. Location: Site is located on East Main St., just east of Florida Avenue. This is in the heart of the CBD. Within walking distance of all downtown amenities, including parks, housing, restaurant, banks, city offices, and other retail uses. Area Information: Lakeland is located approximately 35 miles east of Tampa and 55 miles southwest of Orlando along Interstate I-4. The city is home to Florida Southern College, Florida Polytechnic University, Southeastern University, Polk Community College, and Publix. Lakeland is showing positive job growth and offers a lower cost of living than area causing exponential growth in the area. History buffs and art lovers will enjoy the Polk Museum of Art in Lakeland, and flight enthusiasts can’t miss the annual SUN ‘n FUN Fly-in. And don’t forget Spring Training with the Detroit Tigers at the newly renovated Joker Marchant Stadium! In the heart of Lakeland’s downtown, Lake Mirror Park offers a historic promenade, amphitheater and pedestrian walkways. Hollis Garden, found around the walkway, is a breathtaking formal garden that showcases more than 10,000 flowers and Florida indigenous plants. 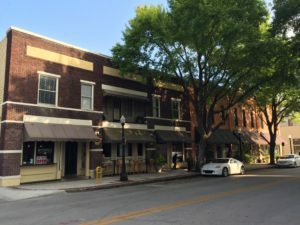 Make sure to dine at one of the over 30 restaurants in downtown, in what is quickly becoming the hottest restaurant scene in central Florida. Property: This six-building office park in South Lakeland has recently been purchased and remodeled by the new owners. 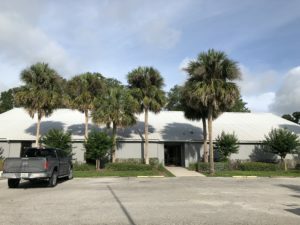 There is currently one building available for lease, at 5,000 ft.². offers floor plan that feature a mix of private offices, conference room, reception area, and a open work-space. Spectrum fiber optics have been brought to the building. The campus itself is completely fenced and has beautiful mature landscaping. There is ample on-site parking. Location: Site is located on Old Hwy 37 in South Lakeland. Location is 1.5 miles south of the Polk Parkway toll road allowing for easy access from either Orlando or Tampa areas. 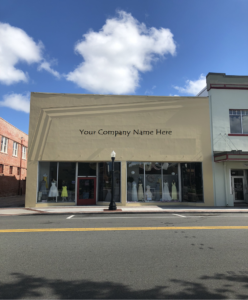 Property is one block west of South Florida Ave., South Lakeland’s major retail corridor work, and just a short ride to a vast selection of restaurants, retail, and banking. Area Information: Lakeland is located approximately 35 miles east of Tampa and 55 miles southwest of Orlando along Interstate I-4. The city is home to Florida Southern College, Florida Polytechnic University, Southeastern University, Polk Community College, and Publix. Lakeland is showing positive job growth and offers a lower cost of living than area other areas along the I-4 corridor. There are over 10,000,000 people within a 100-mile radius of Lakeland and a workforce of 3.4 million. Within the same 100-mile radius, Polk County has access to 500,000 students at three major research universities, numerous colleges, community colleges and technical schools. According to the BLA, 1n 2015, U.S. employment grew 2.0%. Among mid-sized metros, the highest percentage growth is found in Lakeland-FL (4.2%). The population of the Lakeland-Winter Haven MSA, which includes all of Polk County, has grown by 33.4% since 2000 reaching a population of approximately 645,000 people. The population is projected to continue growing at an annual rate of 1.5% over the next five years as the area continues to gain ground as a key transport and logistics hub for Florida. The City of Lakeland is located in the Lakeland-Winter Haven MSA, which incorporates all of Polk County, the 8th largest county in Florida. Lakeland is strategically positioned in the heart of the I-4 corridor “SuperRegion”, which is comprised of Lakeland-Winter Haven MSA, Tampa-St. Petersburg-Clearwater MSA, and Orlando MSA. Within a 100-mile radius reside 8.6 million people and a workforce of 3.4 million. Within the same 100-mile radius, Polk County has access to 500,000 students at three major research universities, numerous colleges, community colleges and technical schools. According to the BLA, 1n 2015, U.S. employment grew 2.0%. Among mid-sized metros, the highest percentage growth is found in Lakeland-FL (4.2%). Lease Rate: $13 per rsf, modified gross. 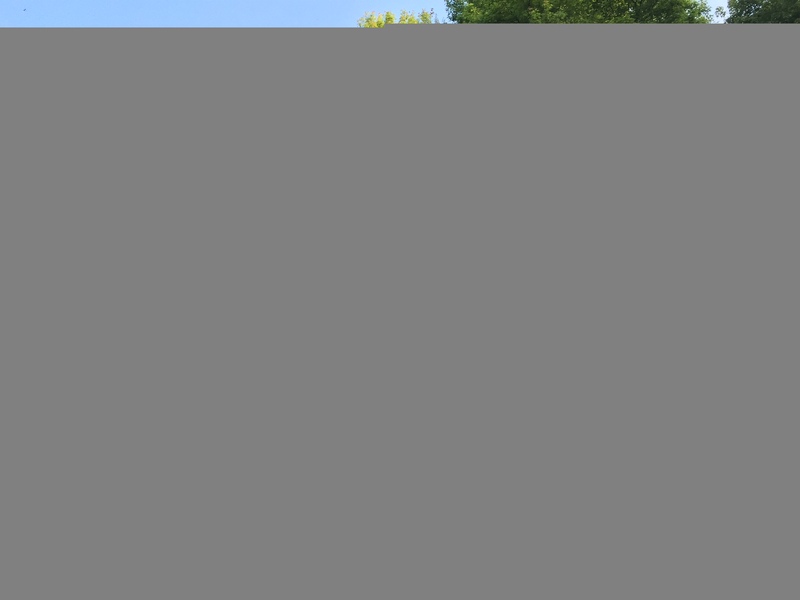 Property: Total parcel is 1.07 acres of improved property ready for your building. Retention and cross parking already in place with adjacent neighbor, Action Gator Tire. Site is ready to go vertical. Drive thru can be done at this location. 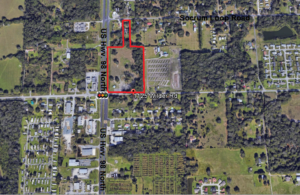 Location: Site is located on six lane, South Florida Avenue, the major retail corridor for the city, with national retailers flooding this area! Site is located one mile south of the Polk Parkway. There are almost 180,000 people within a 15- minute drive of this site, and nearly 138,000 people within the five-mile ring! Traffic counts in this corridor are 41,500 VPD, offering excellent exposure. Area Information: Lakeland is located approximately 35 miles east of Tampa and 55 miles southwest of Orlando along Interstate I-4. The city is home to Florida Southern College, Florida Polytechnic University, Southeastern University, Polk Community College, and Publix. Lakeland is showing positive job growth and offers a lower cost of living than area other areas along the I-4 corridor. There are over 10,000,000 people within a 100-mile radius of Lakeland and a workforce of 3.4 million. Within the same 100-mile radius, Polk County has access to 500,000 students at three major research universities, numerous colleges, community colleges and technical schools. According to the BLA, 1n 2015, U.S. employment grew 2.0%. Among mid-sized metros, the highest percentage growth is found in Lakeland-FL (4.2%). The population of the Lakeland-Winter Haven MSA, which includes all of Polk County, has grown by 33.4% since 2000 reaching a population of approximately 645,000 people. The population is projected to continue growing at an annual rate of 1.5% over the next five years as the area continues to gain ground as a key transport and logistics hub for Florida. The City of Lakeland is located in the Lakeland-Winter Haven MSA, which incorporates all of Polk County, the 8th largest county in Florida. Lakeland is strategically positioned in the heart of the I-4 corridor “SuperRegion”, which is comprised of Lakeland-Winter Haven MSA, Tampa-St. Petersburg-Clearwater MSA, and Orlando MSA. Within a 100-mile radius reside 8.6 million people and a workforce of 3.4 million. Within the same 100-mile radius, Polk County has access to 500,000 students at three major research universities, numerous colleges, community colleges and technical schools. According to the BLA, 1n 2015, U.S. employment grew 2.0%. Among mid-sized metros, the highest percentage growth is found in Lakeland-FL (4.2%). Lakeland, Florida in 1885. He was the city’s third mayor and built the first brick and masonry commercial building, built in 1902 on the corner of E. Pine St. and N. Kentucky Ave., which bears his name to this day. Tenant parking is included, and ample on street parking for visitor and customers. Location: Excellent downtown location, truly in the heart of the retail/commercial district. Excellent location with Munn Park, restaurants, banks retail, city offices and other amenities within easy walking distance. Building is in the downtown CRA and historic districts. Very easy access to I-4 or Polk Parkway, both are 3+/- miles away. Lease Rate: Negotiable Pricing will include shared use of the conference room, utilities, internet, parking, and all common area amenities. North Church St (SR 37), Mulberry, Florida The Property is located just south of the Lakeland, within the city limits of Mulberry. 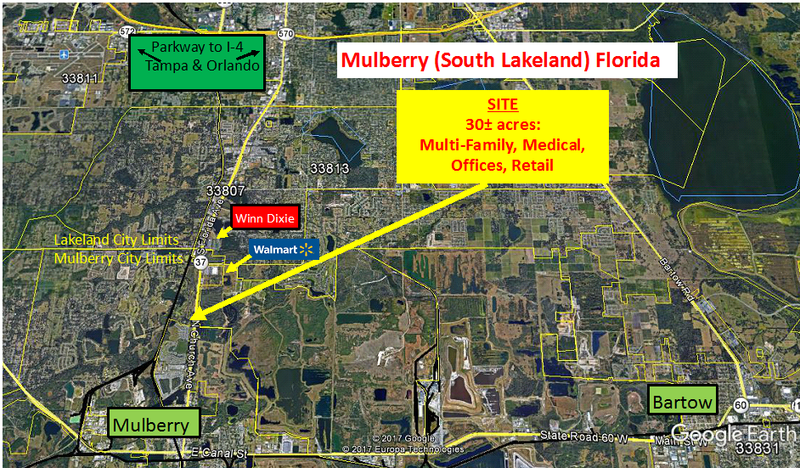 This 30 acres± is part of a previous 150-acre PUD for a retail center. FROM TAMPA: Take I-4 to Exit 27 (Polk Parkway – SR 570). Turn right onto the Parkway and drive about 6 miles to South Florida Avenue (SR 37) and drive 5 miles south to the site, which will be on your right. FROM ORLANDO: Take I-4 to Exit 41 (Polk Parkway – SR 570). Turn right onto the Parkway ramp and drive about 17 miles to South Florida Avenue. Turn left onto South Florida Avenue (SR 37) and drive 5 miles south to the site, which will be on your right. Property:.40 acres located in the heart of Polk City. High and dry. Owner is motivated. 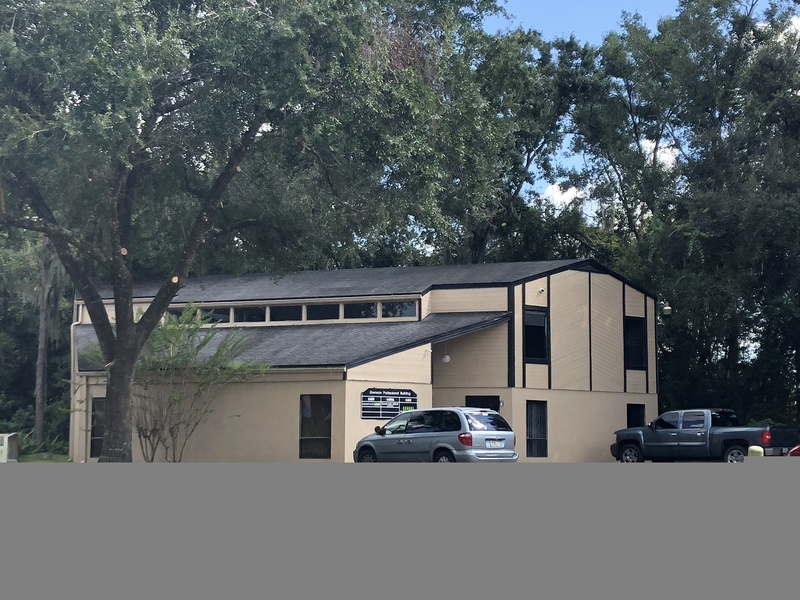 Location: in the Heart of Polk City just a few blocks from the city center, Polk City elementary, Domino’s pizza, and many more. Property: Broadway is proud to bring to the Lakeland CBD, the most modern mixed use development downtown has ever seen. 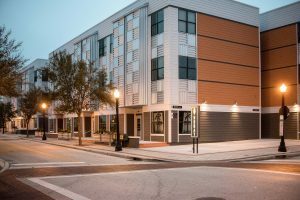 NOBAY is a mixed use residential and retail project which features 55 residential apartment units along with ground floor retail along Bay Street and N. Kentucky Avenue. The retail bays come in black box condition ready for your tenant build out. On-site parking is available for tenants with perimeter two hour street parking available for guest and visitors. 1,500 gallon grease trap on site for shared use among restaurants. Location: Site is located in the heart of the CBD, and will span from N. Kentucky Avenue, west down Bay Street, then north along Tennessee Avenue. All area amenities of banks, retail, parks, restaurants and recreation are within walking distance. 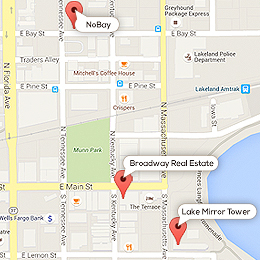 Site is located within the CBD and central to all points in Lakeland. Landlord will participate with tenant improvement allowance. Property: Multi-tenant, executive suites. Only one available, spacious suite with single open plan. 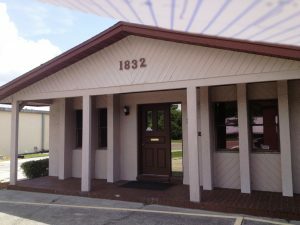 Includes utilities, common restrooms, shared conference & kitchen area, and road signage available. 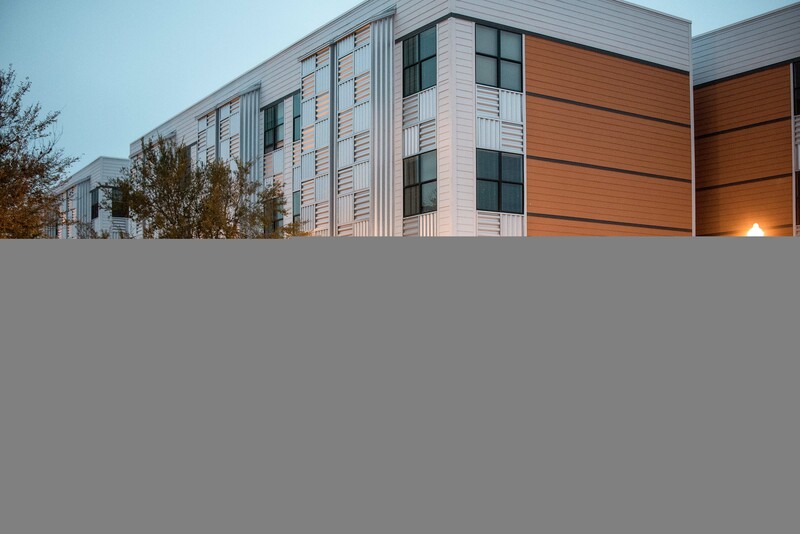 Ample onsite parking for tenants and guests. Location: Excellent location this is a retail/commercial district. Very close to Lakeside village and the Polk parkway.